Kids are hip to happily hopping on this unique toy. 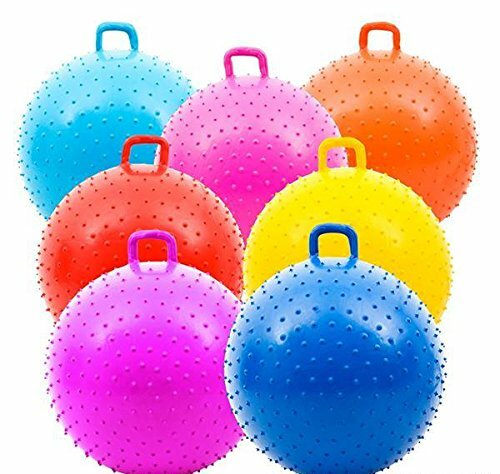 These knobby balls feature a handle to hold on to and are distinguished by a series of short spikes on the exterior. Sold deflated. 10 pieces per case. Size: 36in.